I'm so excited to share with you the second part of the whitepaper I've written on cultural diversity and inclusion. Part 2 is focused on how to create a workplace that is inclusive, and links to a lot of the Diversity Council of Australia's work in this space. Want to learn more about cultural diversity and inclusion? Download the whitepaper today! Let me know if you have any thoughts / feedback on the papers. If you're interested in having the paper presented to your organisation, feel free to get in contact and we can organise a time. I'm so very excited to be telling you about Mumtaza's first Masterclass for Women of Colour: Public Speaking Like a Pro! Want to learn how to #Slay on Stage? The Mumtaza Network is proud to announce the first of its MasterClass Series for Women of Colour: Public Speaking Like a Pro. In our survey last year, you said you wanted to learn how to share your stories in the most powerful way possible. You wanted to learn the skills of slaying on stage, of holding a room, of perfecting a powerful presence. You told us what you wanted, and we listened. Public Speaking Like a Pro is a day-long workshop run by Women of Colour, for Women of Colour. Hosted by co-Founder and CEO of the Mumtaza Network, Yassmin Abdel-Magied, you will leave the session equipped with the skills to be the most powerful advocate for your message. Further details will be released shortly, but get your tickets ASAP, as seats are limited! It's been an eventful few weeks, and thank you all for the messages of support you have sent through - it has meant a lot. That's all I will say about that though! What I really wanted to do was share this video of a sweeeeet panel session I did at 'All About Women' a couple of weeks ago with two other amazing writers, Lindy West and Van Badham. Check it out below! I had the honour of being on a panel with a couple of awesome women recently at the Walkley's Storyology conference. Kara in particular, just *says it like it is*. YAAAS! I would love to see you all at an awesome event planned at The Greek Club in Brisbane, talking about the future of Australia and this country's travel through transition. George Megalogenis, Anne Tiernan and I will be tackling these issues on the 28th of April, and we would love to see you there! Jump on the Avid Reader website and get your ticket today! He sat across from me and asked. Does Allah talk to you? Does he answer your prayers? I don’t even know what I said, but what a question indeed. I didn’t know how to articulate it, and I don’t know if I ever will. I didn’t know how to say that knowing Allah is there, all the time, that was all I ever needed to know. That I hear him in music that moves, see him in the outline of mountains against the sky. That my mortality frightens me, an intense fear that I may not be doing enough… a fear that my life is too easy, a fear that these blessings are in fact my hardships, and that I am failing the tests. I buckle. Doubled over, during sujood. Tears not merely from my eyes but from somewhere deeper, racking me raw because I am so humbled to be in His presence, Subhanallah. My heart begs Him to guide me, to forgive me, to use me, to save me from myself and my own weakness. Because I am oh so weak, and without His blessings, I am nothing. It's a little frightening, writing so publically about religious faith, particularly to an Australian audience. We are not comfortable with it, and often I think that my secular friends are surprised by how much Islam means to me, particularly on a spiritual level. Politics aside, Ramadan is fast approaching, and it is a time for reflection. It is time for that spiritual (and painful caffeine!) detox. It is a month to remind ourselves of our temporary nature, and what we are living for. What is it that we live for? Muslim ladies in the house! I have received an interesting email from a lovely researcher by the name of Maria who would like you to be involved in a project to support (!) Muslim women. If you are a Muslim woman between the ages of 18 and 35, you are invited to participate in an exciting new research project, Beyond hostility and fear: listening to Muslim girls and women. The research is being conducted by Maria Delaney and Amanda Keddie from the University of Queensland. We would like to share the stories of Muslim women and girls for an Anglo-Australian audience to dispel some of the ignorance in the Australian community about Islam. We are sure you would agree that this is important research - Muslim women often bear the brunt of Islamophobia, their voices often silenced and their stories crucial to generating more peaceful relations. The research would involve an informal and friendly conversation about being a Muslim girl/woman in Australia. It would highlight difficulties and problems but also hopes and opportunities. The stories might be funny stories... exasperating stories... disturbing stories... (We will provide some questions that might be a useful guide here). We have had a lot of previous involvement with people from Muslim communities, so we believe that you would feel comfortable talking with us. Also, your participation would be completely anonymous, so you can feel comfortable about sharing your stories. I think it would be awesome if as many of us got involved as possible. If you are nervous or have questions, email me, otherwise email Maria directly! I have no words. All I can say is that an organisation that I am closely affiliated with (as I serve on the Board of ChildFund Australia) is doing some fantastic work in the region and could use any support you want to give to the children in Nepal. What happened? In a nutshell, this is the worst earthquake to hit Nepal in 80 years (the last major earthquake was in 1934). ChildFund are continuing to post updates on social media and would appreciate you sharing the appeal link with your networks. Otherwise, there are a list of reputable places to send your $$ here. There are an overwhelming number of disasters that are fighting for our attention in the news at the moment. Either way, don't let the tide of distress paralyse you from being able to interact with and support any of the movements or responses. Make sure you play your part - however small - in making this world a little safer, in whatever way you know how. Hello there! Well it has been a while. I read once it was bad form to apologise for not having posted for some time, but I think in this case I feel like some sort of acknowledgment of my absence is warranted. It has been a 'busy' few months, although I do dislike using the word 'busy'. Busy doesn't tell us very much, does it? It is like 'fine'; an empty word that describes the status quo and adds no real value to a sentence. It is there as a social nicety, which is something I suppose. 'What has been keeping you busy?' has been my go-to question of late, rather than 'what do you do?'. It makes for a more interesting conversation. Big issues, big questions. Too much for one blog post perhaps. So instead, let me pepper you with some links to say hello again, and hopefully the next update will not be so far away. Born in a Sudanese jail in the midst of a civil war, Abe escaped a possible future as a child soldier and managed to make it to Australia as a refugee with his seven brothers and sisters. The secret emotional and mental toll of this is still catching up with him today. Shonda Rhimes is an awesome strong black woman and is doing some cool things with the various TV series she writes. "I get asked a lot by reporters and tweeters why I am so invested in 'diversity' on television," Rhimes said, according to Medium's text of her speech. "'Why is it so important to have diversity on TV?' they say. I really hate the word 'diversity.' It suggests something other. ... As if there is something unusual about telling stories involving women and people of color and LGBTQ characters on TV." Rhimes offered an alternative to the term "diversity," saying she'd rather describe what she's doing as "normalizing." "I am making TV look like the world looks. Women, people of color, LGBTQ people equal way more than 50% of the population. Which means it ain't out of the ordinary. I am making the world of television look normal," she said. Some awesome women learning to be engineers in remote areas in the Philippines. LOVE IT. Did n bit of a run down on various topics with the Triple J Hack crew for the Friday night Shake Up. What are your thoughts on some of these issues? Listen to the podcast here. Also did some radio in Arabic! Check it by clicking here. Loving this insta: Did I ever tell you I really used to love drawing cartoons? So anyway, what has been keeping YOU busy mentally? Subhanallah, another year has past. Change, that was the overwhelming theme of 2014. Change brought many a new beginning. It was also a year of lots of movement. 150 flights, all over the world. Humbling, really. All blurred into one long cassette tape of memory. I learnt that the older I get, the greyer things become. That we cannot judge what is in another person's heart, and it is not our place to do so. What should be of concern with is getting our own heart in order. Controlling our reactions and responses to events is the only choice we have; a powerful choice and realisation. I learnt silence is okay, and sometimes time-out is okay too, even though the adrenalin junkee inside may shout otherwise. These things are important, for idleness can always been a poison. However, thinking, real, deep, critical thinking doesn't happen when we're on the go. It didn't happen when I was binge watching The Good Wife or dancing in my bedroom when I got up in the morning. I realised my way of thinking is through writing. All the silence in the world is futile for my clarity without a way to record it, have it played back to me and be able to reflect on it again and again, until it makes some sense. The very act of writing, of seeing the words articulated on a page or screen gives them a legitimacy that the fleeting nature of my thoughts lack. The fact that I didn't write enough this year perhaps contributed to the feeling of not-being-present... and so I resolve to return to the habit of writing in 2015 inshallah. Every new year brings the opportunity for reflection, refocus and recalibration of who we want to be and where we want to be at. 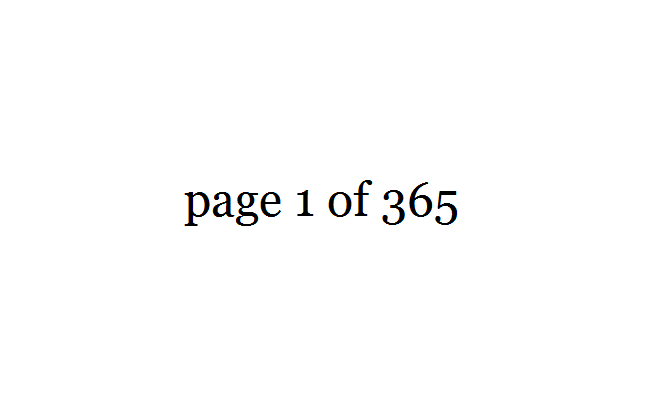 I cannot say with any certainty where I want to be at the end of this 365 day chapter inshallah. What I do know is that I hope, with the grace of Allah, I find humility, the space to think and write critically, the ability to impact, influence and hopefully, inspire towards a world of greater equality of opportunity and diversity of voices in the public domain. Who knows what 2015 brings. All we can try to do is be truly present for it. Every year I start with a song. 2014 was started with Pharrell's Happy, before it got overplayed on the radio. This year, I chose Bluejuice's 'Work'.